I recently posted on Instagram and Facebook what rif and I thought was the best breakfast I’ve tried in Klang Valley. 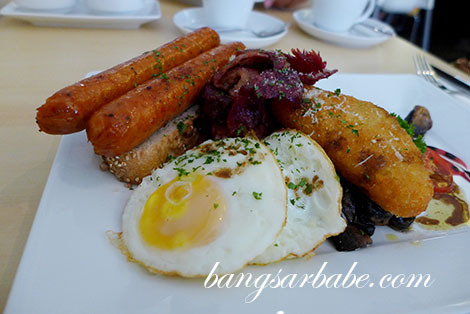 Only on weekends, the breakfast menu is available at NOSH in Bangsar from 10am to 4pm. Perfect for late risers. I slept in last Sunday after an exhausting week and woke up in time for a late lunch. By the time we got to NOSH, it was 1.30pm and I was famished. 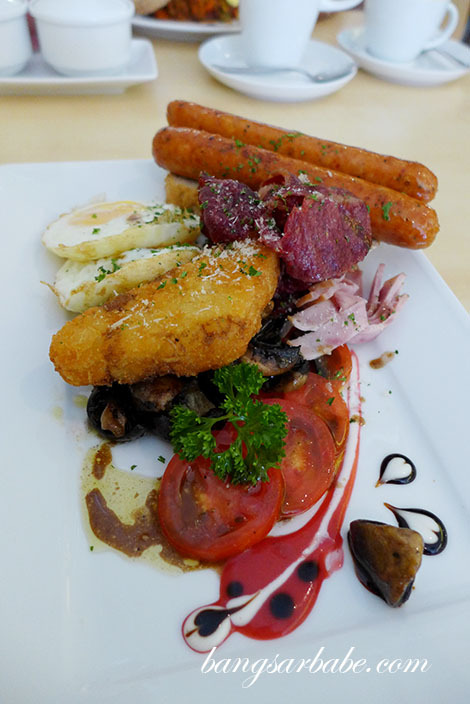 The Nosh Full Monty (RM28) was a much needed treat. 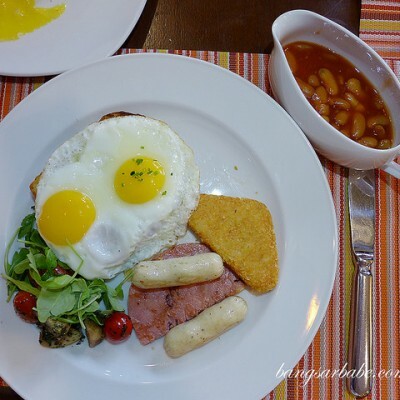 We’ve been eyeing the breakfast menu at NOSH ever since our first visit. Since then, I’ve been back four times but never for breakfast. The Nosh Full Monty was everything I wanted on a plate. Presentation was lovely. These people put a lot of effort in making food look good. And this didn’t only look good, it tasted good too. Portion was generous – my plate came with sausages, beef bacon, turkey ham, two sunny side ups, sautéed mushrooms, hash brown, tomatoes and a slice of toasted multigrain bread. Ingredients were of good quality and I was pleased the bacon was nicely cooked so it was crisp around the edges but not dry at the centre. The hash brown remained crispy, right to the last bite and the chicken Spanish sausages was flavourful with a good bite. 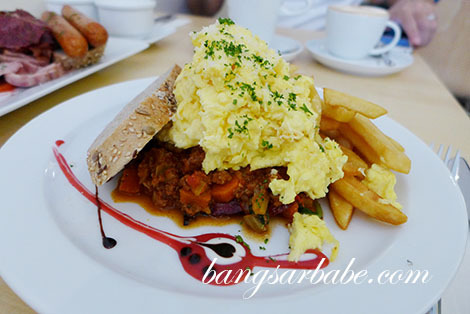 Also good was the Spicy Savoury Mince (RM21), which I felt was more suitable for brunch or lunch. This was a hearty composition of mushrooms, spinach and beef bacon on online casino a bed of chops, and topped with scrambled eggs. Such delicious unison of flavours – this dish had just the right amount of oomph and the eggs were beautifully prepared. Creamy and fluffy, yet fairly substantial. The coffee however, wasn’t strong enough for me. 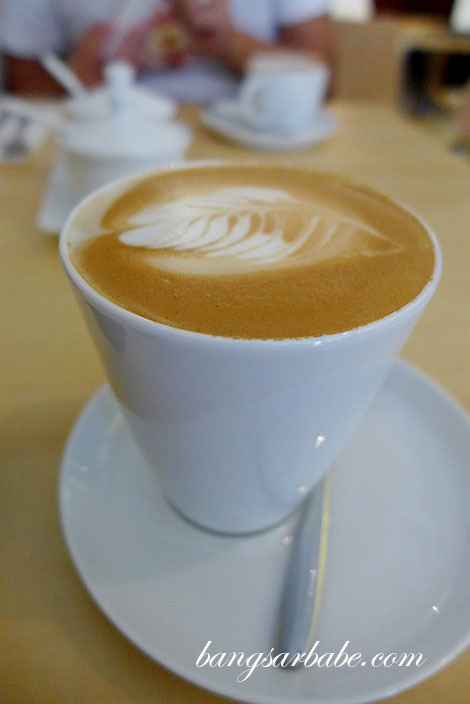 My double shot latte was decent, but didn’t give me enough caffeine boost. I should have ordered their ristretto instead. 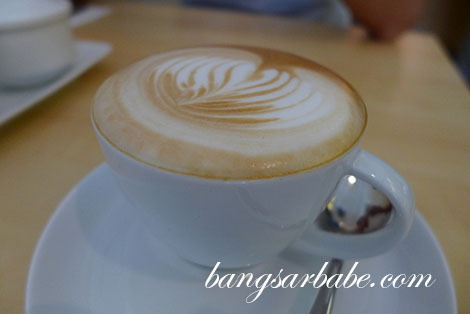 rif’s cappuccino was also a tad weak on the coffee note. Service was attentive and the staff were well-trained. On a whole, we were pleased with the two breakfast dishes above. 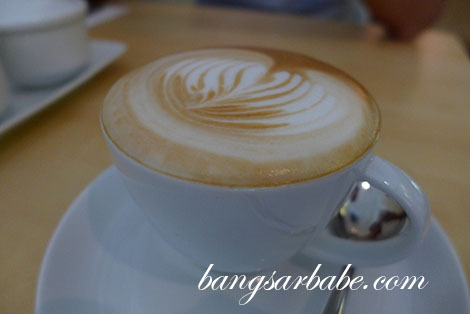 There are many cafes in Klang Valley that serve breakfast, but only a handful does it well. Nosh is one of the few. 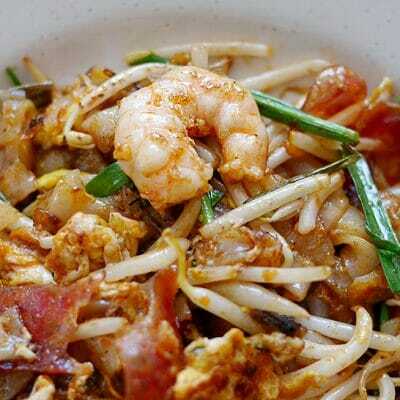 Verdict: The best breakfast I’ve tried in Klang Valley, so far.